Our purpose is to promote and enhance the services provided by the Oshawa Public Libraries through activities involving fundraising, advocacy, and our volunteers. The Friends of the Library organize events in the community on an ongoing basis. Upcoming events are regularly announced via the Oshawa Libraries website. The Friends of the Library operate two book sales each year. The Summer Reads Book Sale (Spring) and the annual Giant Book Sale (Fall) both take place at the McLaughlin Branch. A selection of books and magazines for sale can be found at the McLaughlin Branch. Library customers can choose a book and make a small donation to the Library through the Friends. No contribution is too small! If you are interested in joining the Friends of the Library you may leave a message on our voicemail at 905-579-6111 ext. 5266. Membership is $10 for an individual and $15 for a family annually. Apart from the opportunity of working with a fantastic group of people and doing something to benefit our public library, members also have the advantage of a preview of the Giant Book Sale (a chance to make a selection before the general public). Volunteering with the Friends of the Library is also a great way for Teens to achieve their Community Service hours! In partnership with Friends of the Oshawa Public Library, Cinefest Durham brings Toronto International Festival Films to Durham Region! All profits go to fund special projects for Oshawa Public Libraries. 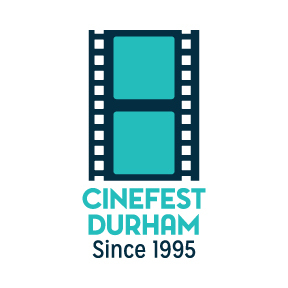 For the Cinefest Durham lineup check HERE. See you at the movies!